Available in Narvik Black, Yulong White and Corris Grey colours, the Landmark Edition offers a Carpathian Grey contrast roof and sporty bumper, and is priced at Rs 53.77 lakh (ex-showroom). 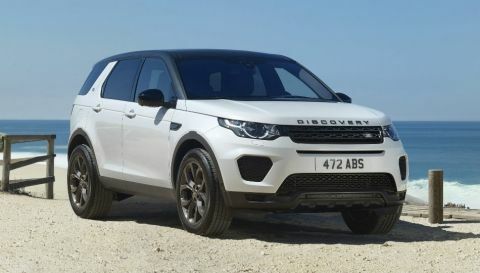 Land Rover has launched the special Landmark Edition of Discovery Sport in India. The car is available in Narvik Black, Yulong White and Corris Grey colours, and features a Carpathian Grey contrast roof and sporty bumper. It is priced at Rs 53.77 lakh (ex-showroom). The Land Rover range in India includes the Discovery Sport (starting at ₹ 44.68 Lakh), Range Rover Evoque (starting at ₹ 52.06 Lakh), All-New Discovery (starting at ₹ 75.84 Lakh), the New Range Rover Velar (starting at ₹ 82.90 Lakh), Range Rover Sport (starting at ₹ 102.46 Lakh) andRange Rover (starting at ₹ 179.52 Lakh). All prices mentioned are ex-showroom prices in India.